10GbaseT making a comeback ? Say it's true... I've been a fan of 10GbaseT for a while now. Though it hasn't really caught on in the industry, off the top of my head I can only think of Arista and Extreme who have embraced the standard from a switching perspective, with everyone else going with SFP+, or XFP or something else. Both Arista and Extreme obviously have SFP+ products as well, maybe XFP too, though I haven't looked into why someone would use XFP over SFP+ or vise versa. From what I know, the biggest thing that has held back adoption of 10GbaseT has been power usage. Also I think other industry organizations had given up waiting for 10GbaseT to materialize. Also cost was somewhat of a factor too, I recall at least with Extreme their 24-port 10GbaseT switch was about $10k more than their SFP+ switch (without any SFP+ adapters or cables), so it was priced similarly to an optical switch that was fairly fully populated with modules, making entry level pricing if you only needed say 10 ports initially quite a bit higher. But I have read two different things (and heard a third) recently, which I'm sure are related which hopefully points to a turning point in 10GbaseT adoption. The first was a banner on Arista's website. The second is this blog post talking about a new 10GbaseT chip from Intel. I would love to have 10GbaseT over the passive copper cabling that most folks use now, that stuff is a pain to work with. While there are at least two switching companies that have 10GbaseT (I recall a Dell blade switch that had 10GbaseT support too), the number of NICs out there that support it is just about as sparse. Not only that but I do like to color code my cables, and while CAT6 cables are obviously easy to get in many colors, it's less common and harder to get those passive 10GbE cables in multiple colors, seems most everyone just has black. Also, cable lengths are quite a bit more precise with CAT6 than with passive copper. For example from Extreme at least (I know I could go 3rd party if I wanted), their short cables are 1 meter and 3 meters. There's a massive amount of distance between those two. CAT6 can be easily customized to any length and pre-made cables(I don't make my own), can be fairly easily found to be in 1 foot (or even half a foot) increments. I wonder if there are (or will there be) 10GbaseT SFP+ GBICs (so existing switches could support 10GbaseT without wholesale replacement) ? 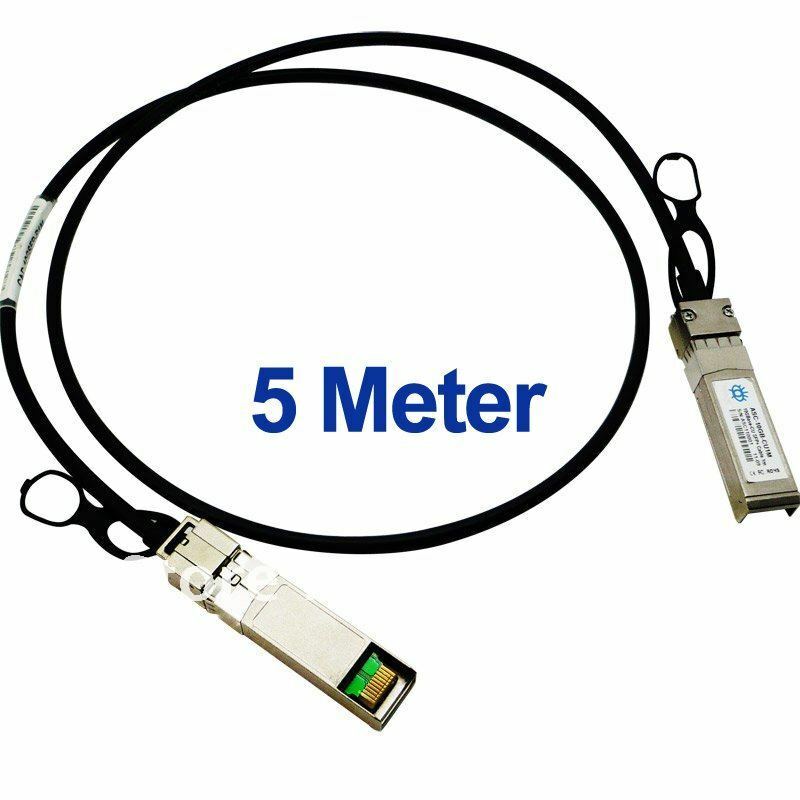 I know there are 1GbE SFP+ GBICs.